If you aren’t using Shop It To Me for your holiday shopping, you’re doing something wrong. If you don’t know what Shop It To Me is, check out this post. 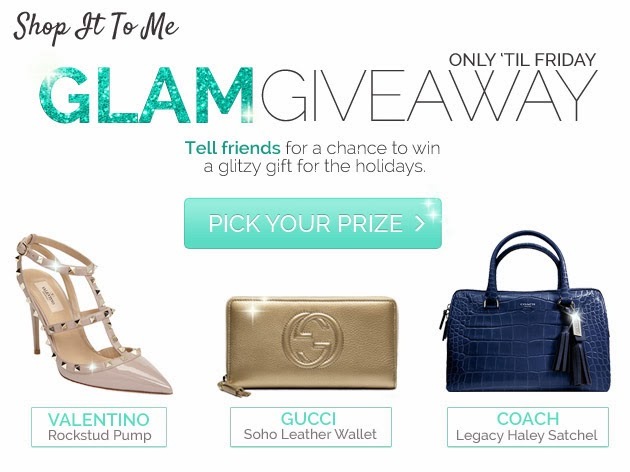 Shop It To Me is currently hosting a super glam giveaway for it’s members. And entering is super easy, all you have to do is refer a friend (or six!) and share the Shop It To Me love! P.S. For official details & rules, see the Shop It To Me blog.